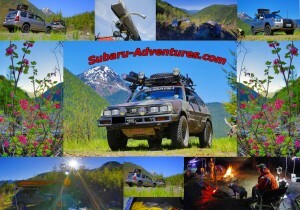 Enjoy an epic Subaru journey through the northern parts of Snoqualmie National Forest of Mt. Baker experiencing some early summer overlanding in a 1984 Subaru GL and 2006 Subaru Forester. On 11 May 2018, I had the opportunity to visit parts of the Snoqualmie National Forest with Michael Anderson, our newest member of Subaru-Aventures. Michael has been passionate about Subarus since 2007. As a Subaru Ambassador, he has proven a positive attitude and willingness to inspire others about Subaru. So the journey begins on Canyon Creek Road, a place of the Pacific Northwest of Washington state with beautiful forests.